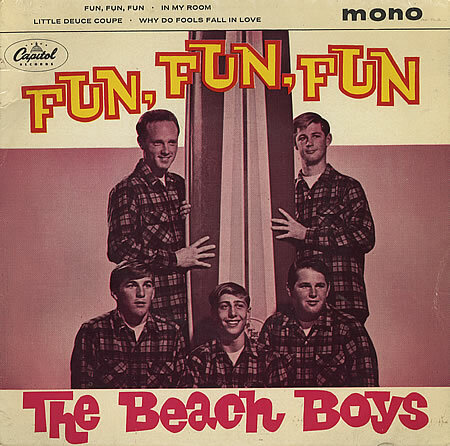 Mike Love: We’re celebrating the fiftieth anniversary of “Fun, Fun, Fun”. Fifty years of “Fun, Fun, Fun”. That song came out in the spring of 1964. Then “I Get Around” came out in the fall. Those two big hits for us. We’re still enjoying doing it to this day, and it still seems to go over great with the audiences. 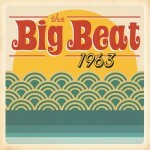 Jeff Moehlis: Can you believe that it was fifty years ago that you were doing those songs? ML: No, I don’t. It’s hard to comprehend, actually. Time is so ephemeral, I guess you could say. You know, it’s hard to pin down. It just keeps going and going. The neat thing is that over the decades people are still appreciating our efforts that began in the early Sixties. So it’s a good deal for us. We’ve had record sales and success all over the world, from Scandinavia to South Africa, and Alaska to Australia. It’s been a remarkable journey, a “Surfin’ Safari” if you will. JM: Can you tell us what you remember most fondly about your time living in Santa Barbara? ML: Well, I lived at 101 Mesa Lane, on The Mesa, and it was just a beautiful spot. An old friend of mine from Santa Barbara named Chuck Williams, who’s an avid Beach Boy fan, grew up and lived most of his life in Montecito, and he’s the one that turned me on to the place at 101 Mesa Lane. I was able to rent the place and buy it. It had several structures on the property. It was quite an amazing place. We had a studio there, and I have a daughter Summer who was born there, and also a son Brian who was born there. It’s a very special spot to me. It turned out that we moved to Lake Tahoe – Incline Village, Nevada – it must’ve been about twenty years ago now. But I love Santa Barbara. My favorite place to go is the Rose Cafe out on The Mesa. Mexican food. It just couldn’t have been a more beautiful setting. But with the several structures there, I was becoming a landlord, and that wasn’t my cup of tea. So we decided to get a little more remote, I guess, by going to Lake Tahoe. It’s still overlooking the water, as the place on Mesa Lane was. But there’s not much better environment than Santa Barbara. My oldest son Christian, who has been touring with us up until this year for the last several years, he still is a Santa Barbaran, and he enjoys East Beach. He’s always in volleyball tournaments. He loves beach volleyball, grew up surfing and all that. So he’s living the life we sang about back in the early days. JM: You mentioned that it’s the fiftieth anniversary of “Fun, Fun, Fun”. I know you wrote the lyrics to that one, and you helped to write a lot of The Beach Boys songs. Are there any specific contributions to The Beach Boys’ music that you’re most proud of? ML: You know, coming up with the words and the chorus of “Good Vibrations” has to be one of the most successful contributions that I made, to the track that my cousin Brian came up with. 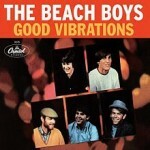 I came up with all the words and the chorus: “I’m pickin’ up good vibrations / She’s giving me excitations”. But also, I wrote all the words to “California Girls” and “Fun, Fun, Fun”, and “I Get Around”. So there’s several contributions. The most sensitive one is called “The Warmth of the Sun” which we wrote together in 1963. It’s a beautiful ballad about where you were in love but the other person doesn’t feel the same way, and it’s no longer a relationship but at least you have the memory of having been in love at one time. It’s kind of a sad song in a way, but it’s about remembering whatever was good about the relationship. That’s more of a sensitive kind of a thing. These days, we’re doing a song that I wrote several years ago after George Harrison passed away. The Beatles came to America fifty years ago this year, and in 1968 I spent some time in India at the invitation of Maharishi Mahesh Yogi. I had learned Transcendental Meditation December of ’67, and in the spring of 1968 The Beatles ventured to India and so did I, and Donovan was there at the same time. I wrote a reminiscence of that time and a tribute, basically, to George Harrison, who was a great guy, very spiritual, very much into his meditation, studied the sitar, played lead guitar of course with The Beatles, and wrote some great songs. I call the song “Pisces Brothers”, because his birthday was February 25th, and mine is March 15th. So we released that on George’s birthday, on February 25th this year. It can be found, if people are interested. It’s a very sentimental song, with a lot of references to things that were special to George, and special about him, meaning some of his songs and stuff. So we’re doing that, and it’s getting a great reception at our concerts, so that’s something brand new that we do in addition to all the hits that we’re known for. JM: Can you tell me more about that trip to India? ML: It was a really fascinating time. The Beach Boys were on a show in December of 1967 for UNICEF, quite an incredible show that was broadcast to raise money for UNICEF. It was broadcast to a lot of countries around the world. In fact, Marlon Brando was on the show, as well as Elizabeth Taylor and Richard Burton, and Victor Borge who was a Danish humorist and piano player, and a French orchestra and a lot of other European artists including the Russian Red Army Choir and the Turkish Ballet who’d never been on TV before. So it was really a fascinating event. 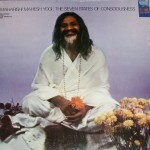 At that event, the rehearsals, we met Maharishi, and subsequent to that event we were invited to visit with Maharishi, and he actually taught us the Transcendental Meditation technique. So we learned it in December of ’67. 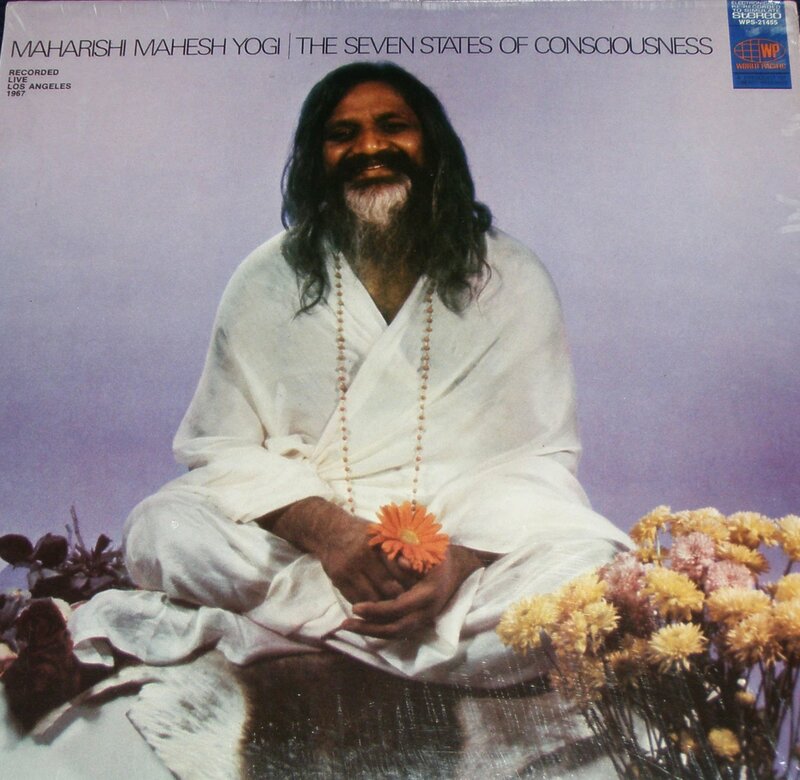 Maharishi came to America after that, after being in Paris for a while, and he was lecturing in New York, and most all of us went to New York to listen to him lecture. After he left New York he went to Boston, and in Boston he gave an address at Harvard Law Forum. After that I gave a call, that evening, and got him at the phone, actually. I didn’t know I would, but he answered his phone and he invited me and the rest of the boys to come to India. I told him, “I don’t know if the other guys will go, but I’ll be there.” In fact, I did. It was probably the most fascinating thing that I’ve ever done in life, being in India at Maharishi’s place meditating several hours a day, and listening to him speak. And at that time, George Harrison had his birthday on February 25th, I on March 15th, so we had fireworks and music, cakes and all that [laughs]. [JM: here is a recording of The Beatles singing “Happy Birthday” to Mike Love during this trip.] It was just a really wonderful period of time with a lot of music, a lot of meditation, and celebration. It led to me writing that tribute to George Harrison when he passed away several years ago. ML: Yeah, I still meditate to this day. I meditate every day. It’s meant to be practiced twice a day and I’ve been doing that ever since. And I’ve gone to a teacher training course and became a teacher of TM, too. So it’s been a very important part of my life. I think it gives me the energy and clarity and positivity to undertake the amount of shows that we do. We’re doing probably a little over 130 shows this year. It’s quite the schedule, all over the world [laughs]. We’ve been to Europe twice and we’re supposed to go back again in November. We were in Japan earlier in the year. 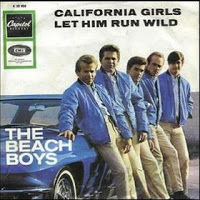 The Beach Boys music has been popular in so many areas of the world, all over Scandinavia, South Africa, Australia, New Zealand, The Philippines, Japan, in just about every corner of the Earth we’ve had some success with records and radio playing our records. ML: To become educated about the business of music, because we were not. I was not, and got seriously taken advantage of, unfortunately, by my Uncle Murry, who administered the publishing for our band. I didn’t even know what publishing was when we started. So I think education is a real vital thing if you’re going to be serious about going into the music business. The other thing is, if you’re a good instrumentalist but maybe not a great vocalist, align yourself with somebody who’s a great singer. Just practical things like that. If you’re better at writing lyrics than you are at music, then if you align yourself with someone… That was my relationship with Brian. My cousin Brian was brilliant at structuring harmonies and coming up with melodies. I was the lyricist who complemented his musical abilities. I also have some musical abilities as well, but my strongest contribution in terms of The Beach Boys was the hooks and the lyrics that I came up with. And of course, last but not least, is research all the things that came before you, all the various types of great musicianship and great artists that might resonate with you and strike a chord that means something to you, that stimulates some kind of creativity of your own doing. 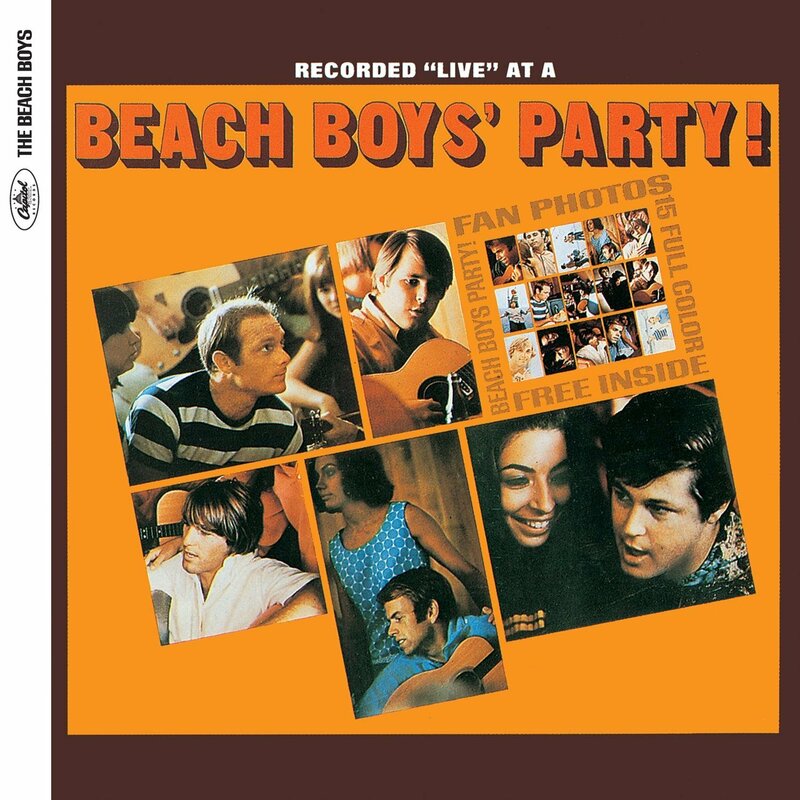 JM: Are there any parts of the history of The Beach Boys that you feel are generally misunderstood, and you might want to help clear up the record on? ML: Well, the thing is I was cheated with regards to my contribution to songwriting to “California Girls”, “I Get Around”, “Help Me, Rhonda”, several big hits. We fired my uncle [Murry, who was fired from managing The Beach Boys in 1964], and I think his way of getting even with me was not including me on the songwriting. So it gave a disproportionate view of who did what with The Beach Boys earlier hits. I did get credit for “Good Vibrations” and “Fun, Fun, Fun”, and a few others, but on some pretty critical hits I didn’t. So I had to go to court years later to establish my authorship. Even though Brian Wilson, my cousin, wanted to rectify it, he couldn’t, because he was in a conservatorship, because he had so many significant mental problems that he could not administrate his life properly. So his brother Carl got him in what’s called a conservatorship, just so that all the business-related things had to be done by somebody on his behalf. But, long story short, that was rectified and I got a credit on those major hits that I did in fact co-write with my cousin Brian. Maybe not everything, but a significant amount of the more popular songs that I contributed to. So that was a negative, I sure wish it wouldn’t have happened. It’s kind of like I was blindsided, because it was uncle that did this to me, and in part my cousin, but my cousin Brian was pretty incapable of standing up to his father or rectifying things, as I mentioned. The other thing, the biggest negative with respect to The Beach Boys’ career, it had nothing to do with music, but more lifestyle. My cousins Brian, Dennis, and Carl got very involved in drugs, and some pretty serious ones, too. In fact, at one point in time in the late Sixties my cousin Brian took some acid, and he’d done it before, but he took some and in this case he withdrew, basically, from the music industry. 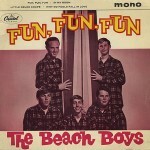 He had already left the group in 1964, he was not a part of The Beach Boys touring group and had not been since 1964. In fact, Glen Campbell took his place for six months and then Bruce Johnston, who’s with us today, took his place in 1965. The first song Bruce sang with us was “California Girls”, then we worked on the Party! album which had “Barbara Ann” on it, then we worked on the Pet Sounds album, which we still do songs from the Pet Sounds album on our show – “God Only Know”, “Sloop John B”, and “Wouldn’t It Be Nice” – and then we did “Good Vibrations”. So that was quite a first year [for Bruce – laughs]. At any rate, the drugs were the most negative and hurtful thing in terms of the impact on the group, and on the individuals involved. In fact, my cousin Dennis just couldn’t shake the addiction, and he became heavily involved in alcohol and drugs combined. So that was a tragedy. It lead to his early demise. Cousin Carl passed away in 1998. Great singer, fantastic guitarist, and bandleader in fact. But he started smoking when he was like twelve or thirteen years old, and the statistics are not good when you start smoking that early. It can lead to lung cancer, which in fact he did succumb to. It’s lifestyle issue and so on that have been the most challenging thing to overcome for The Beach Boys. But that doesn’t take away, fortunately, from all the great achievements musically that The Beach Boys have experienced. Like, for instance, we’re in the Guiness Book of Records. There was one year we did a show for free on July 4th, one in Philadelphia in the afternoon and one in D.C. in the evening. And we played for over a million and a half people, in person, on one day, which is pretty remarkable. You know, we were inducted into the Rock and Roll Hall of Fame, the American Music Awards gave us a Lifetime Achievement Award, so we’ve had a lot of great highs. It’s just unfortunate that some of those other things having to do with drugs and alcohol impacted the group fairly significantly. JM: I don’t know if you would use this terminology, borrowed from a Beach Boys song, but are there “heroes” and “villains” in the Beach Boys saga? I think maybe the villains were the drugs, right? ML: I think so. The drugs and also some of the business aspects where we were taken advantage of. 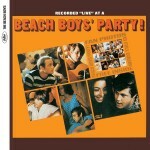 JM: Do you think that there are any “heroes” in the history of The Beach Boys? ML: Well, for me it was Maharishi because he was key to my being able to do something, a mental technique, that allows a person to get some inner spiritual development while still engaging in activity that’s more related to career, and all that. It gave me the wherewithal and the strength to avoid the pitfalls that so many of the people in the music industry, and life in general, have been affected by. JM: This is maybe a bit of a technical question, but you’re probably aware that last year there were some Beach Boys-related recordings released on iTunes, related to the European Union copyright being about to expire. Presumably there will be more coming this year. Do you have any position on those releases? ML: You know, I really don’t. I haven’t given it any thought. There are changes in the music industry. 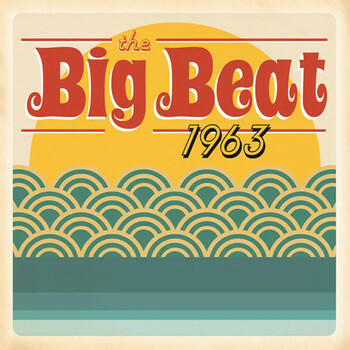 When we started, we started with a two-track machine, and then a four-track, then an eight-track, then a 24-track. And now with the advent of the computer and the technology, there are so many different ways to record and to distribute your songs on the internet and stuff. The music business, on the distribution side, barely resembles what it once did. Fortunately for The Beach Boys we’re well known and have a body of work that’s still performed on radio and in motion picture soundtracks, and sometimes in commercials. So we have our original fans, but we have fans of all generations, you know, your generation and younger. Entire families turn out. Like when we do the Ventura fair, we’ll see entire families – grandparents, parents, and children – all enjoying The Beach Boys together. So we’re in kind of a different category, or echelon, or whatever you want to say. Whatever’s going on in the music business at the moment, we just seem to have our own – I like to call it – sonic oasis. It’s our own kind of world of music that we’ve crafted and created, and it’s still being appreciated to this day. JM: I saw you guys when you performed at the Santa Barbara Bowl as part of your 50th anniversary tour. What are your reflections on that tour, which got the surviving members of the band back together? ML: Well, actually David Marks is going to be with us in Ventura, it looks like. I spoke to him a couple of days ago, and then re-spoke to him last night, and he’s on board with there. He’s doing a weekend of touring with us. He’s always been a real cool guy to be with and hang out with. We have a lot of fun with him. He has a great sense of humor. But he was another one that was really adversely affected by my Uncle Murry. He was actually pretty cruel to him. At a very young age, maybe fifteen years old, he was eliminated from The Beach Boys in not such a great way. But we’re still friends. My cousin Brian, he’s been doing his own thing for about fifteen years. Bruce and I, we’ve been doing The Beach Boys touring… I for fifty-two years now [laughs]. So we’ve been carrying on the way we do things. We joined forces there for that 50th anniversary tour, which seemed to be a good idea to do. It was not without problems, but it was a good thing to do, I think, for the fans that wanted to see us together. We were to have done fifty shows, but it grew to seventy-three actually. So we did actually more than we originally agreed to do. But there was an agreement that we would do “x” amount of shows, and it was signed by everybody and agreed by everybody. And at the end of it, there were some false statements put out, from Brian’s press people, saying that it felt like I fired him or something. But it’s not true, because it was well-documented that we were going to go back to doing things the way we had done once we accomplished these reunion shows. Everything wasn’t done in a way that I would consider on the up and up. So although it was great to do it, and we had many successes, the way things were done by certain people involved weren’t my cup of tea. But we’re very happy now. We’re doing 130 shows this year, or more [laughs]. We’re doing really great. A lot of people are saying how great we sound. We’re doing a lot of sell-outs here, there, and everywhere. I think there will be a big crowd in Ventura on Thursday night. So I’m not complaining, I’m just saying we’re having a great time. John Stamos is going to be there. He loves to come out and play drums. We back him up on a song. He has a great time, and I think it’s a real treat for the audience as well. JM: It seems to me that The Beach Boys are significantly responsible for California being viewed as a paradise, with its beaches and the girls and all that. Do you feel like one of the lasting legacies of The Beach Boys is selling California to the world? ML: Yeah. In the mid-70’s I came up with the title for a best-of album called Endless Summer, and then about ten years ago I said [for another best-of album] Sounds of Summer. So I think we’re associated not only with California but just the summertime in general. We find ourselves really busy. You have your state fairs and county fairs and amphitheaters and festivals that are all going on specific to summer. So we’re the busiest in the summertime. But yes, of course, with a song like “California Girls” which was a worldwide hit… And “Kokomo” was another big hit for us. In fact, they say it was our biggest hit. With “Surfin’ U.S.A.” and “Surfin’ Safari” and all that, yes we’re definitely identified especially from our earlier subject matter with the life at the beach, and Southern California which is where we grew up. We simply encapsulated the great things about California and the coastline, and it caught on around the world. As you say, we’ve been forever associated with the great things about California, related to the beach and lifestyle in general. There’s no doubt that we’re associated with that, and it’s a good thing, I think. Shoot, who would want to go on a “Surfin’ Safari”, you know? [laughs] And that was our first big international hit. Our first song was called “Surfin'”. That was in the fall of 1961. ML: We’re in Lancaster, Pennsylvania. We’re doing a thing at the American Music Theatre, and tomorrow we’re on our way to Columbus where we’re doing the Ohio State Fair. And then we fly to Santa Barbara. We’ll get to Santa Barbara, we’ll have Wednesday night off in Santa Barbara, which is great, and Thursday we have Ventura. Then we hit the road and go up to Mountain Winery in Saratoga, up near San Jose. Then we go on to Reno for Hot August Nights, and I have, of course, my home in Lake Tahoe so I’ll be able to go home for a couple of days, which will be nice.